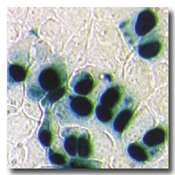 jetPEI®-Hepatocyte is a DNA transfection reagent designed to transfect Hepatocyte-like cells. 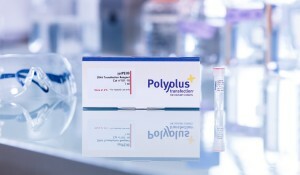 jetPEI®-Hepatocyte is recommended to transfect primary hepatocytes and cell lines such as human hepatocarcinoma Hep G2 and murine hepatocytes BNL-CL.2. 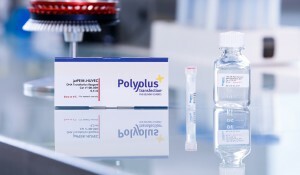 jetPEI®-Hepatocyte is a Galactose-bearing linear polyethylenimine designed to enhance the transfection of cells expressing Galactose-specific membrane lectins, such as hepatocytes that express the asialoglycoprotein receptor (ASGP-R or Gal/GalNAc receptor). Cell targeting is the result of binding of the Galactose residues to the specific cell-surface receptors, leading to internalization of the DNA complexes. 0.5 ml of jetPEI®-Hepatocyte transfection reagent is sufficient to perform ca. 150 transfections in 24-well plates. Compared to our standard jetPEI® transfection reagent, jetPEI®-Hepatocyte provides significantly higher transfection efficiencies in human hepatocarcinoma Hep G2 cells as well as in difficult to transfect primary human hepatocytes (Fig. 1). Fig. 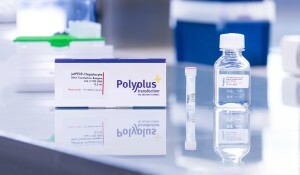 1: Comparative transfection efficiency of jetPEI®-Hepatocyte versus jetPEI®. Hep G2 (50,000 cells in 24-w) and primary human hepatocytes (100,000 cells in 24-w) were transfected using 3.2 µl of both reagents with 1 µg of pCMVEGFPLuc, in 1 ml of complete medium containing 10% of serum. The luciferase activity was determined 48h post-transfection. Transfection efficiency was expressed as relative efficiency obtained with jetPEI® compared to jetPEI®-Hepatocyte. 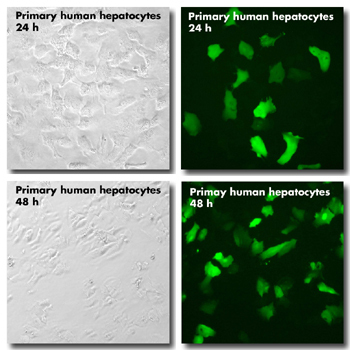 Primary human hepatocytes show good transfection efficiency (around 50%) 24 h and 48 h after transfection using jetPEI®-Hepatocyte and luciferase plasmid pCMVEGFPLuc. In addition, cells look very healthy (Fig. 2). Fig. 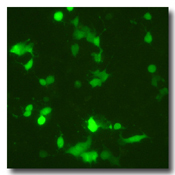 2: Primary human hepatocytes expressing GFP 24 h and 48 h after transfection using jetPEI®-Hepatocyte. Primary human hepatocytes (100,000 cells in 24-w) were transfected with 1 µg of pCMVEGFPLuc at N/P ratio of 8, in 1 ml of complete medium containing 10% of serum. Cells were visualized by fluorescence microscopy. The most popular hepatocyte-derived cell lines BNL-CL.2 and Hep G2 were successfully transfected using jetPEI®-Hepatocyte and commonly show approximately 50 % and 30% transfection efficiency, respectively (Fig. 3 and 4). Fig. 3: BNL-CL.2 cells expressing ß-galactosidase after transfection using jetPEI®-Hepatocyte. NL-CL.2 cells (50,000 cells in 24-w) were transfected using 3.2 µl of reagent with 1 µg of pCMVEGFPLuc, in 1 ml of complete medium containing 10% of serum. -galactosidase gene expression was visualized by X-gal staining after 24h. Fig. 4: Hep G2 cells expressing GFP 72 h after transfection using jetPEI®-Hepatocyte. Hep G2 cells (50,000 cells in 24-w) were transfected using 3.2 µl of reagent with 1 µg of pCMVEGFPLuc, in 1 ml of complete medium containing 10% of serum. Cells expressing GFP protein were visualized by fluorescence. The jetPEI®-Hepatocyte protocol is as simple as the jetPEI® one: Mix the DNA with the reagent to form complexes and simply add the mixture to the cells. jetPEI®-Hepatocyte is compatible with serum and antibiotics, thus eliminating the need for media changes. Protein expression is determined 24 h to 72 h post-transfection. jetPEI®-Hepatocyte is perfectly suited for plasmid delivery (DNA, shRNA or miRNA) to primary hepatocytes as well as hepatocarcinoma cells, such as Hep G2 and BNL-CL.2. Here is a selection of relevant references using jetPEI®-Hepatocyte, more are available in our Polyplus-transfection Database. Ma, J., Huang, C., Yao, X., Shi, C., Sun, L., Yuan, L., Lei, P., Zhu, H., Liu, H., Wu, X., Ning, Q., Zhou, C., Shen, G. (2012). Inhibition of Hepatitis B Virus and Induction of Hepatoma Cell Apoptosis by ASGPR-Directed Delivery of shRNAs., PLoS One 7, e4609. Andrieux, L. O., Fautrel, A., Bessard, A., Guillouzo, A., Baffet, G., Langouet, S. (2007). GATA-1 is essential in EGF-mediated induction of nucleotide excision repair activity and ERCC1 expression through ERK2 in human hepatoma cells., Cancer Res 67, 2114. Naimi, M., Gautier, N., Chaussade, C., Valverde, A. M., Accili, D., Van Obberghen, E. (2007). Nuclear forkhead box O1 controls and integrates key signaling pathways in hepatocytes., Endocrinology 148, 2424. Ben-Shlomo, S., Zvibel, I., Shnell, M., Shlomai, A., Chepurko, E., Halpern, Z., Barzilai, N., Oren, R., Fishman, S. (2011). Glucagon-like peptide-1 reduces hepatic lipogenesis via activation of AMP-activated protein kinase., J Hepatol 54, 1214. Baltrusch, S., Francini, F., Lenzen, S., Tiedge, M. (2005). Interaction of glucokinase with the liver regulatory protein is conferred by leucine-asparagine motifs of the enzyme., Diabetes 54, 2829. 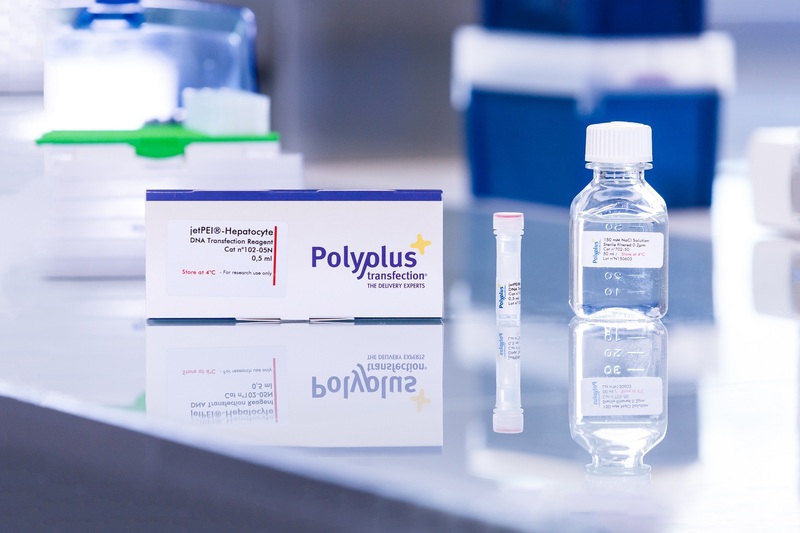 Every batch of jetPEI®-Hepatocyte is tested in a transfection assay. Typically, transfection of a firefly luciferase gene under the control of the CMV promoter gives 109 RLU (relative light unit)/mg of protein. The value for each batch is indicated on the Certificate of Analysis.